I love to sleep. Whether it’s the 12 hour mega-sleeps, the 45 minute power nap or the tube snooze on the way home, I can’t get enough of it. Having had a very busy couple of weeks with work and redoing our bathroom and therefore moving around various different houses, I’ve not been sleeping very well, waking up numerous times throughout the night and then finally waking up a good couple of hours before my alarm. It’s very annoying. But more than just being annoying, I’ve noticed how much less motivated I am to workout and eat healthily. I’m craving carbs for a quick energy fix and I’m permanently hungry. Exercise has dropped off the list of priorities as it’s taking a lot more energy to simply stay awake and be coherent. My brain has also felt fuzzy and I’ve had to work that much harder to stay productive and focused at work. All of this is because without enough sleep the part of your brain that’s responsible for language, memory, planning and sense of time starts to shut down. In fact, staying awake for 17 hours affects your brain in the same way as having 2 glasses of wine. – Crawl into bed with a good book – no iPhones or lit up screens before sleep if you can help it! 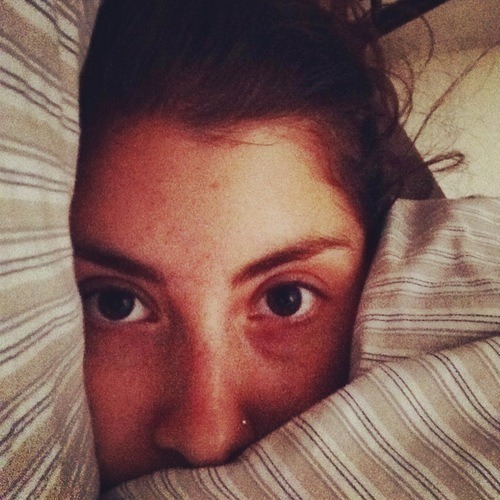 If you’re struggling to sleep, try these tactics first before resorting to any pills!